If you are planning on attending, please register now. A minimum number of 10 attendees are needed to hold the class. 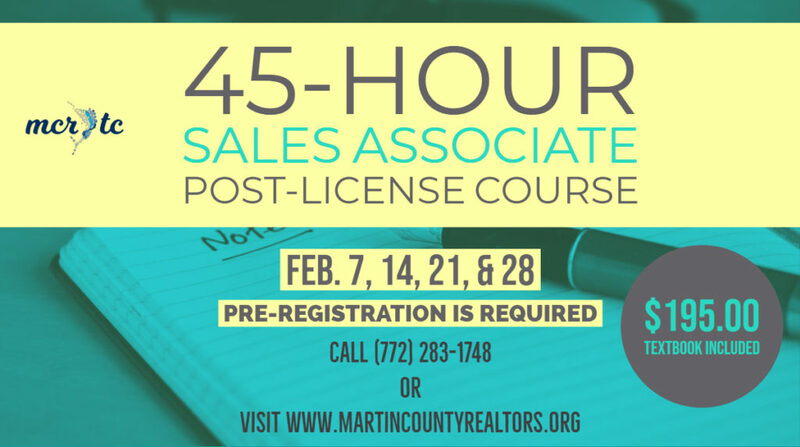 Sales Associate licensees must complete 45-Hours of sales associate post license course and exam within their first renewal period. Taught by industry expert Jennifer Segala with over 30 years of real estate brokerage experience and 26 years of teaching real estate. Course Dates: Feb. 7, 14, 21, & 28. 9:00am to 5:00pm each day. Course Registration Fee: $195.00, includes all course material and textbook. Click the button below to request information about joining MCRTC. We offer REALTOR®, MLS, and Affiliate memberships. Martin County REALTORS® of the Treasure Coast (MCRTC) is committed to providing an accessible website. If you have difficulty accessing content, have difficulty viewing a file on the website, or notice any accessibility problems, please contact us to specify the nature of the accessibility issue and any assistive technology you use. MCRTC will strive to provide the content you need in the format you require. 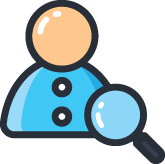 MCRTC welcomes your suggestions and comments about improving ongoing efforts to increase the accessibility of this website.